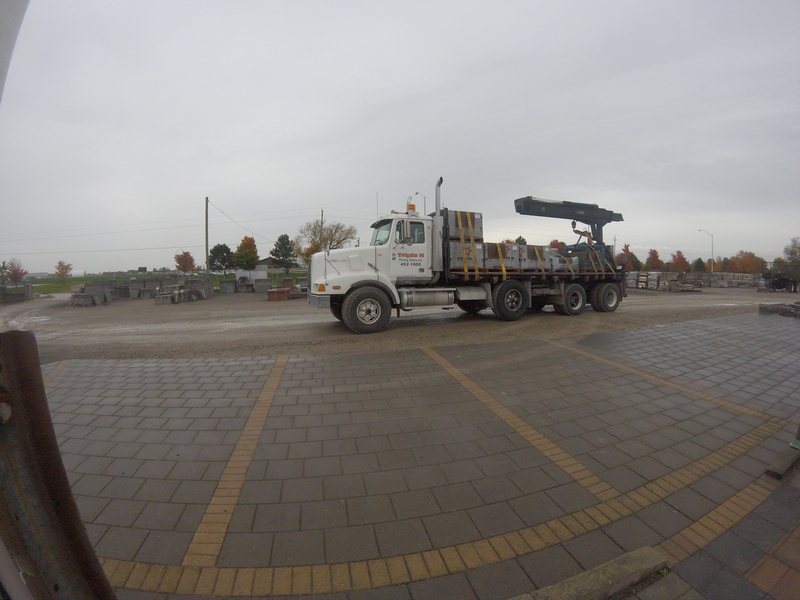 Retail - Triple H Paving Stone Inc.
where you need them efficiently, when you need them there. 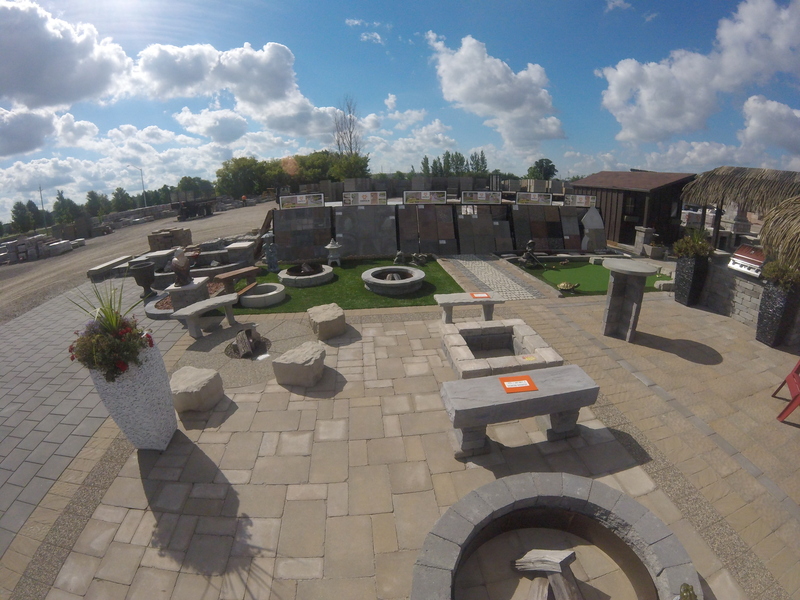 Triple H offers the most engaging display yard in all of ontario, with aspect such as a putting green, water features, outdoor kitchen and much more! 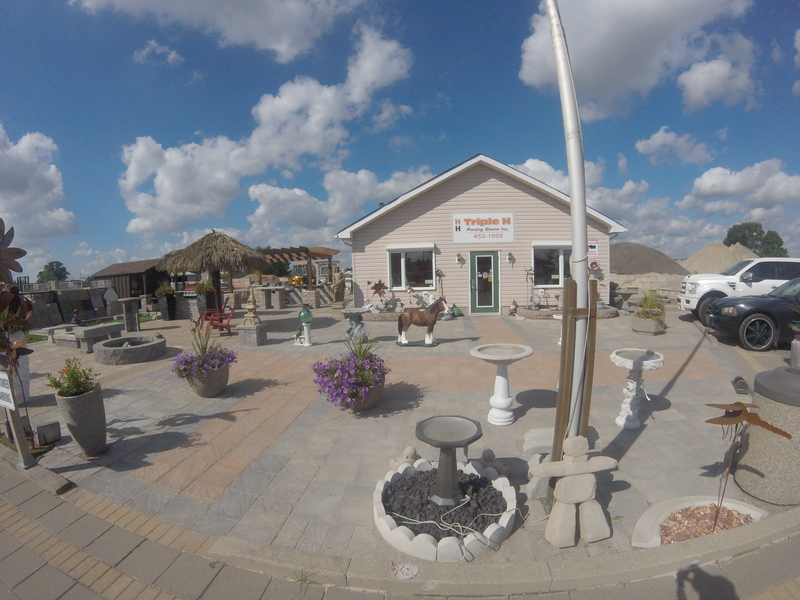 The display yard is designed to give consumers an idea of what the pavers would look like in a realistic setting, instead of simply showing brochures we pair the displays with tailored customer service in order to achieve a more beneficial experience. At our Retail location, we stock every Triple H product available, in almost every colour. As well as additional products such as Retaining Walls, Mulch, Aggregates and Topsoils. However, we do not stop there! Triple H also carries natural stone, sealers, cleansers, polymeric sand and all of the tools necessary to complete your paving stone installation. Not only do we stock nearly every single Triple H Concrete product, but we consistently stock materials from other trusted partners such as Santerra Stonecraft, Rymar Sythetic Solutions, Seal King and many more, in order provide you with the best options available. Call now for product pricing, availability, delivery schedules or book a quote! To have an expert come visit you at your home or job site, and measure up the project you have in mind.